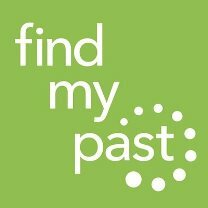 This week's new FindMyPast Friday upload doesn't include any records with an obvious Irish interest, although if you have Church of England ancestors from County Kent in England or connections (fairly recent, from what a quick look suggests) with Ontario in Canada, you may find today's additions worth checking out here. However, a few weeks ago an Irish collection made its online debut and I somehow – I've no idea – forget to blog about it. On the day of its arrival I was putting the final touches to my New Irish Genealogy Resources 2019 ebooklet, and I certainly included it in the ebook, but as I've now discovered, I forgot to 'do the double' and include it in that day's Irish Genealogy News. So, with apologies for the delay, let me tell you about this new collection. When not conducting client research, the highly regarded genealogist Rosemary Ffolliott FIGRS (1935-2009*) wrote, edited or contributed to genealogy books, journals and magazines, transcribed church records, and collected and organised newspaper extracts. FindMyPast's new collection comes from the latter work, and is a compilation of 54,000 bigraphical notices from Irish newspapers. Each record includes a transcript and original image. The collection holds details of 2,186 births, 28,024 marriages, 11,966 deaths, and more than 12,000 'Other' notices, as published in 30 newspaper titles between 1756 to 1850. The Other catagory is made up of many abstracts from advertisements, lost and found notices or change of residence announcements that provide family details. There are entries from all counties.